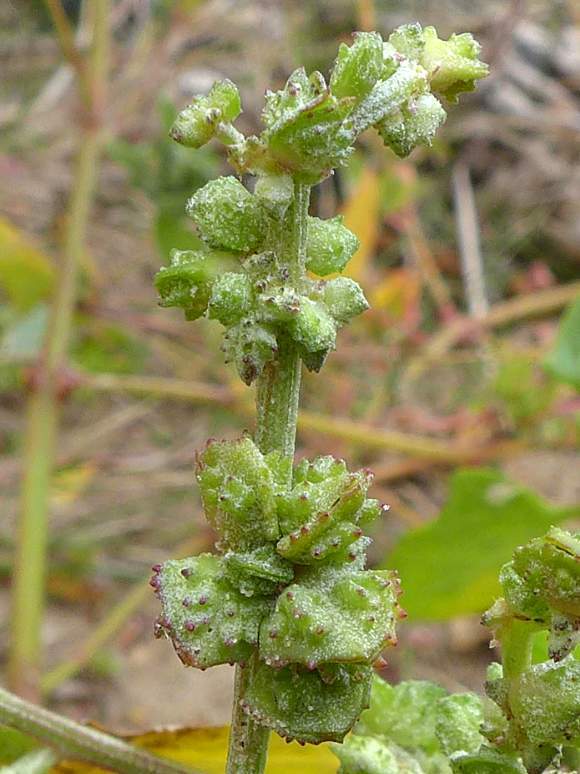 The Goosefoot family are mostly opportunist annual flowers occupying bare or un-cultivated ground, with between 3 to 5 bracteoles, male and female separate. 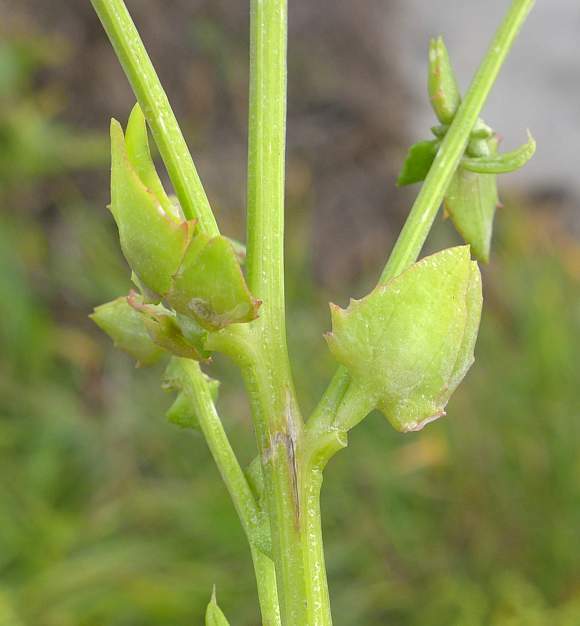 On a leafless spike a tight cluster of usually small greenish-brown petal-less flowers resides. 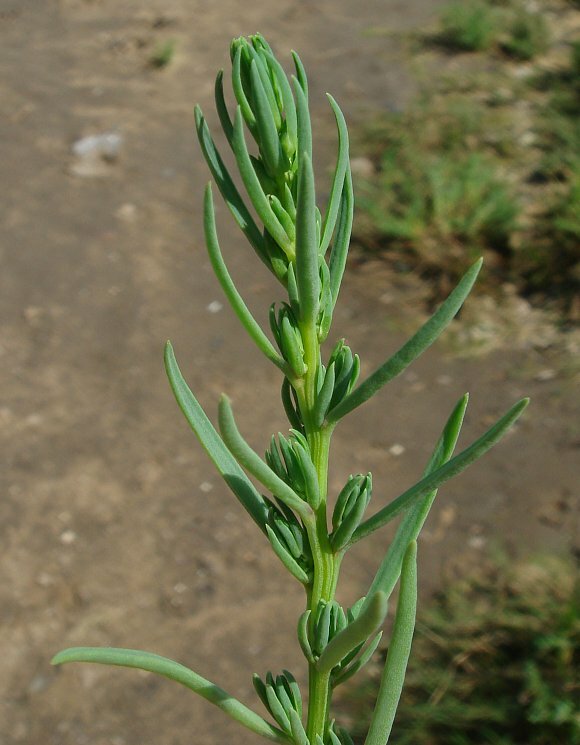 The leaves are usually un-toothed. 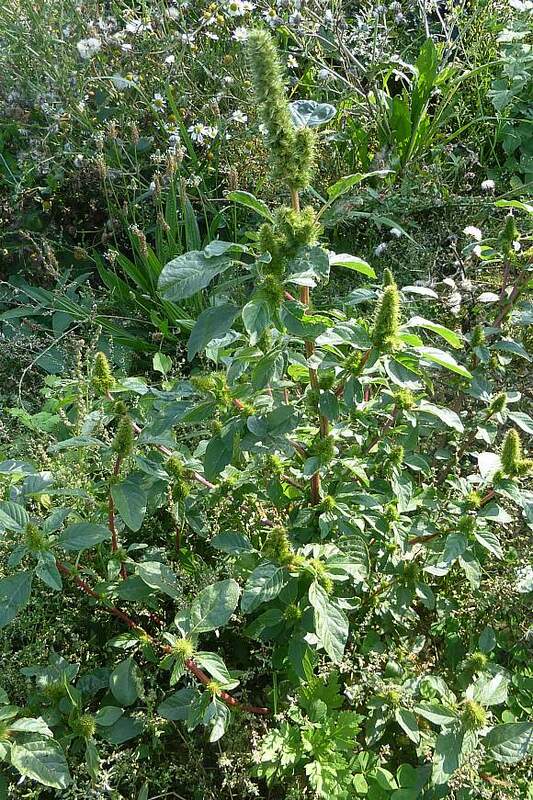 The three most frequent species are common amaranth, green amaranth and white pigweed, but 27 others have been recorded. 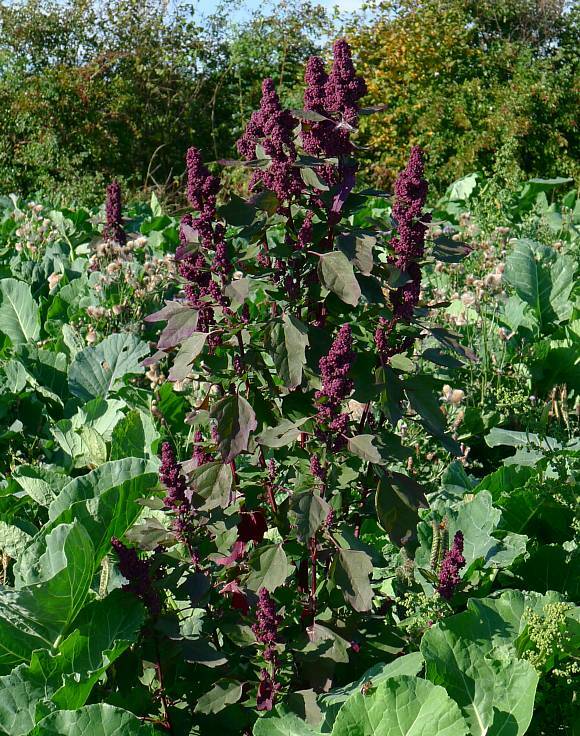 Love-lies-bleeding is a well known garden plant that has escaped into the wild. 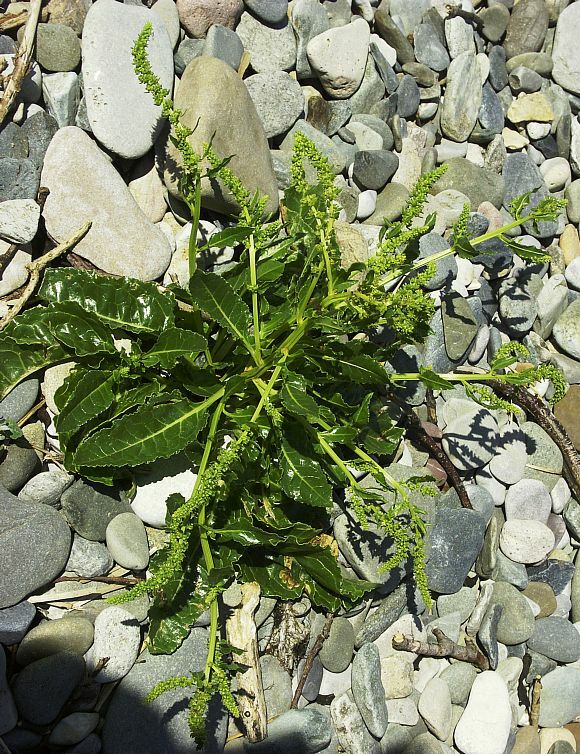 Taxonomic authorities cannot agree on whether the Goosefoot Family [Chenopodiaceae] should be subsumed into The Amaranthaceae Family, or not, but here it has been! The Amaranthaceae family (and Chenopodiaceae if taxonomists decide not to put that in with the Amaranthaceae family) are all salt-tolerant species and they exhibit both C3 and the more efficient process C4 type photosynthesis. Another 13 families including Euphorbiaceae and grasses, Poaceae, are also C4 photosynthetic (making 15 families which are C4 photosynthetic altogether). Of those, only Euphorbiaceae have all three types of photosynthesis (C3 and C4 and C3+C4) within their numerous species. 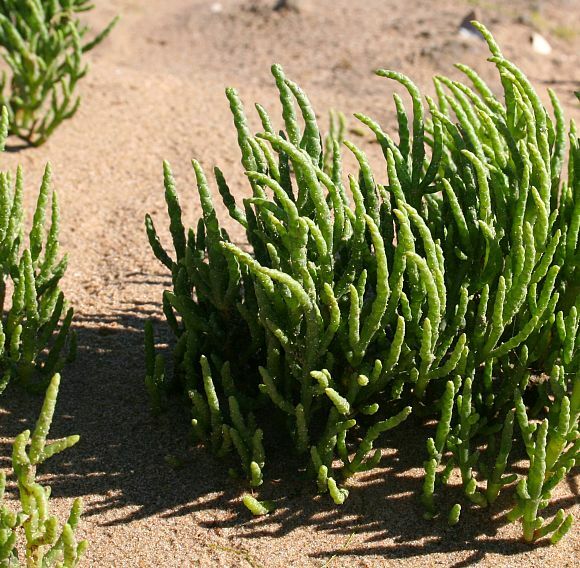 Recent DNA research on species of Salicornia suggests that all the diploids (which are more ornamental and elegantly branched) should be treated as just one species, and similarly all the tetraploids as another single species. If necessary, the different forms of each of the two species could be given segregate names. 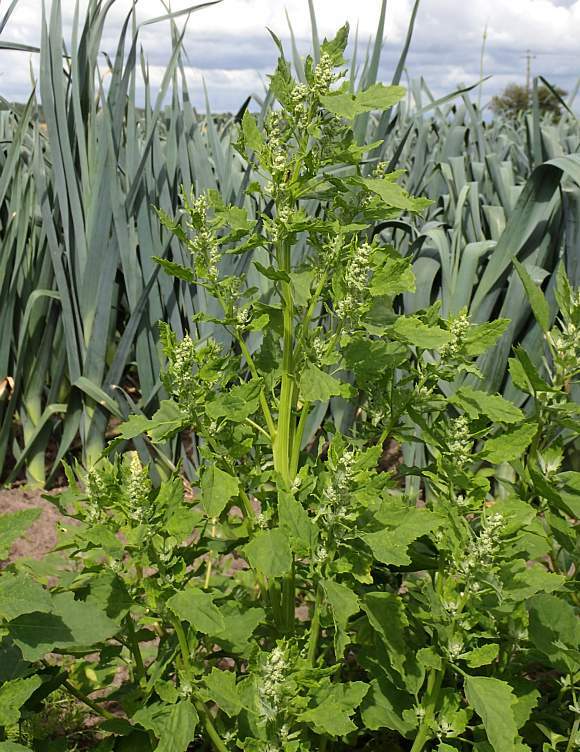 Altissima-Group - to which Sugar Beet belongs. 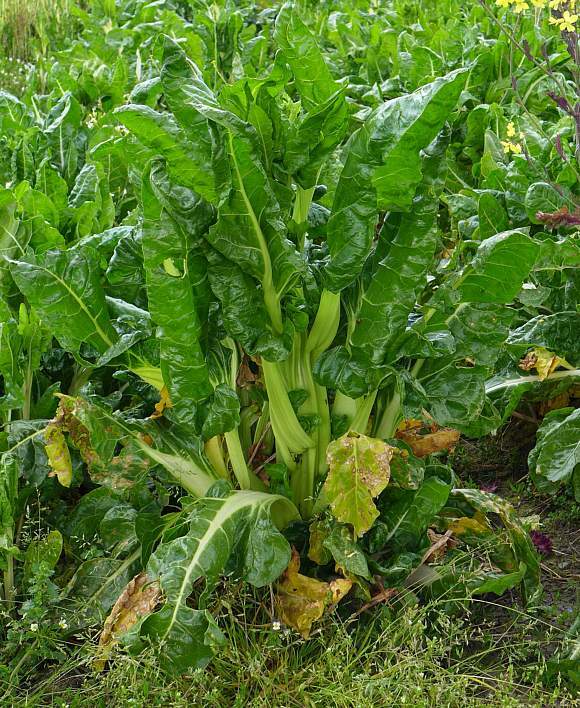 Flavescens-Group to which Swiss Chard belongs. 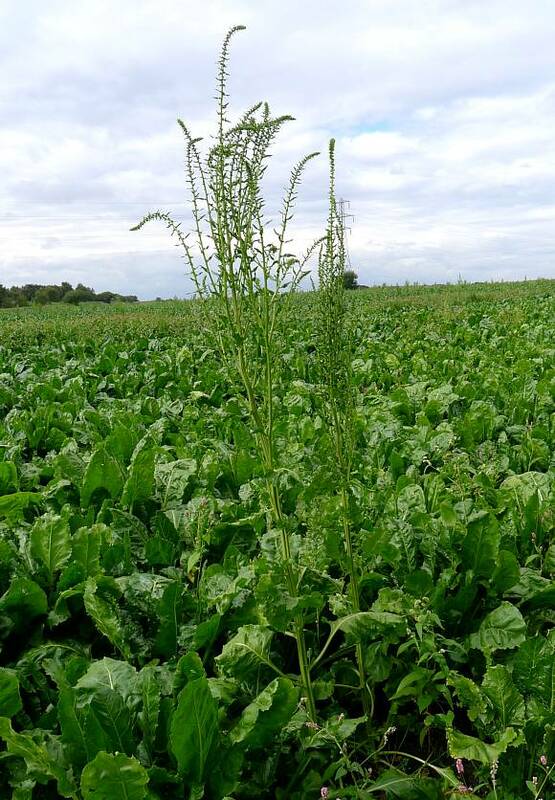 Those Swiss Chards with thickened stems are thought to have arisen from mutations in Spinach Beet - which is in the Cicla-Group. Crassa-Group to which Mangel-wurzel belongs. 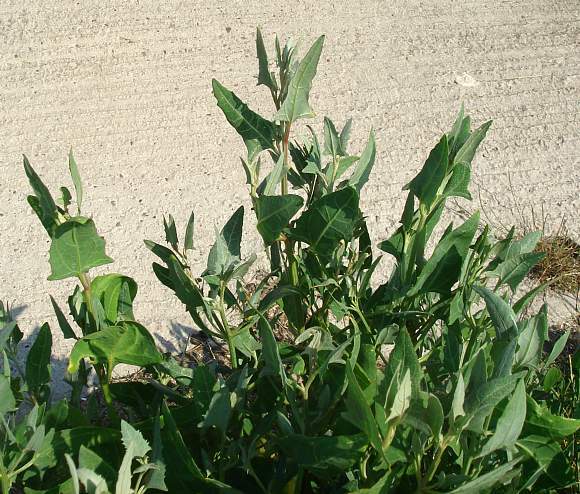 There are two major complications to differentiating between the differing Orache plants, the first being that there is great variation (or plasticity) both in physical form and in genetic make-up of any one single species. 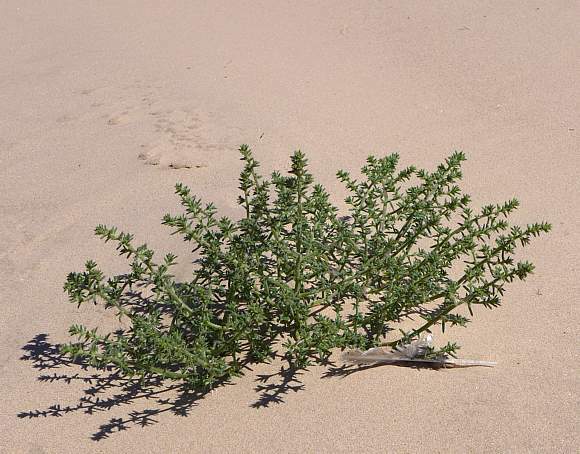 The second is their great propensity to hybridize between (only some) species of Atriplex, and unlike first or second generation hybrids, generate hybrid derivatives which are self-fertile and proliferate. Genetically differing morphs exist for several of the species differing in leaf-shape, habit or colour, each genetically distinct. 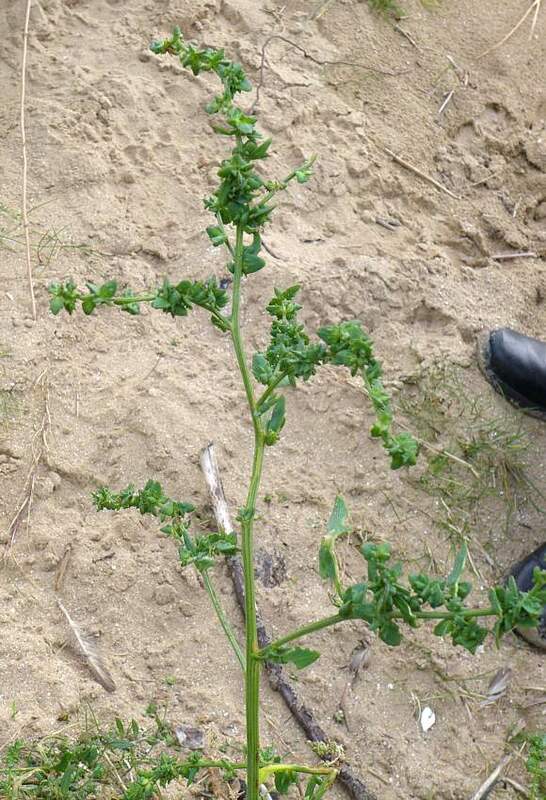 Morphological changes can also occur in response to environmental factors such as soil-type, pH, salinity, etc and all gang up against positive identification. That being said, with care it is possible for experts to identify many hybrids which occur in the British Isles with reasonable certainty. Oraches are usually Unisexual, with separate male and female flowers on the same plant. The male flowers are tiny, about 2mm across with 5 tepals (rather than any petals) and 5 stamens. The female flowers usually have no tepals (or petals!) but two expanding and growing bracteoles either side of the growing fruit until they encompass it. 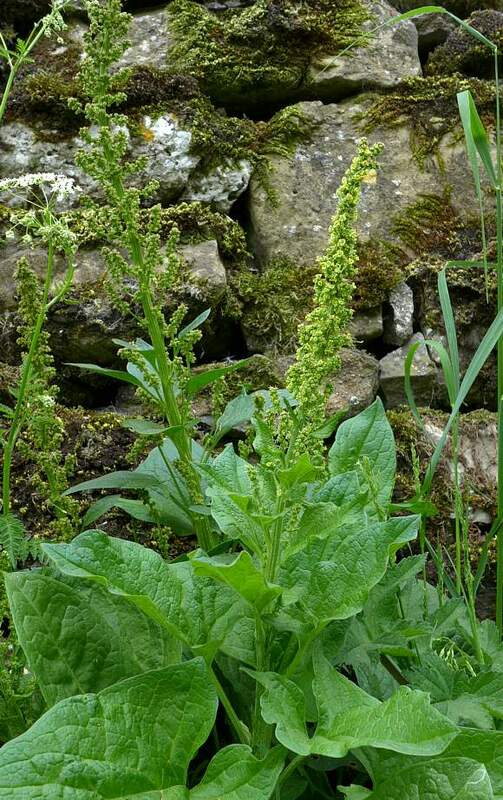 For photos of the flowers of Orache readers will have to look at Babington's Orache, the only one he has yet seen in flower (you have to get very close). 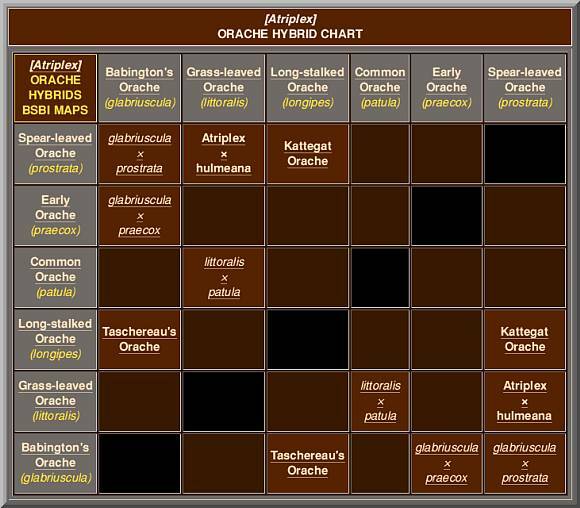 Although the BSBI map database does not seem to mention them (and similarly neither does the derivative hybrid chart above), apparently hybrids occur between ALL [except for Frosted Orache (Atriplex laciniata)] species of Atriplex - perhaps because the unmentioned other hybrids are either so rare, or that very few folk are willing or able to identify them in the field... (?). 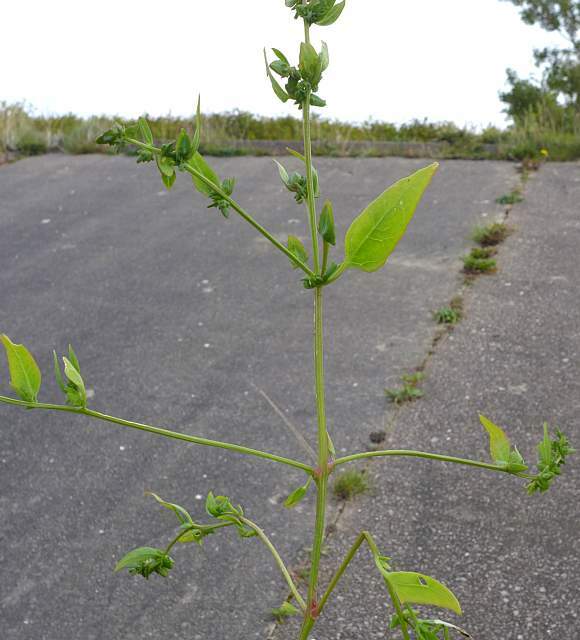 Section 1 - BLITUM containing only Strawberry Blite (Chenopodium capitatum) - not a fungus but an edible non-native plant. 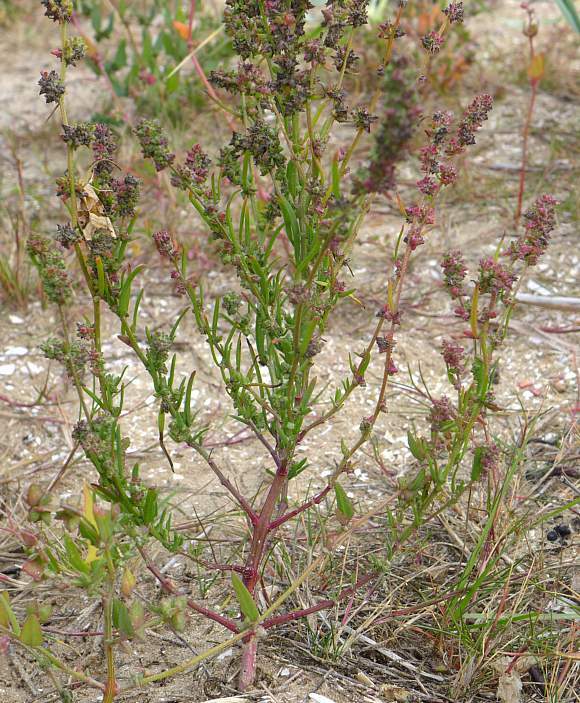 A confusing genera with several plants having very similar features which make it hard to differentiate some species from others. The colours of some species also vary widely. The flowers have no petals, just tepals, which vary in number depending upon species, from 2-3 and from 3-5 as do the number of bracteoles (3-5). It is important not to confuse the 3-5 bracteoles with the 3-5 tepals; these are some of the important differentiating features.